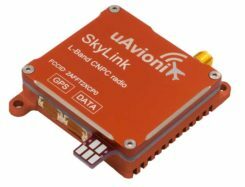 Virtually all defense and security applications of GPS/GNSS require additional technology to protect assets and missions against signal interference, whether jamming or spoofing. The upcoming free webinar, Resilient PNT for Military Applications, gives a primer on several of these technology options. Mitigation in this context means that after isolating the unwanted signal, quickly rejecting and replacing it, causing minimal system degradation. In essence, this involves the use of augmentation technologies and diversification strategies to supplement GPS/GNSS, thus reducing the dependence on it. Marine/Naval: Sensor support (radars, sonars, optronics, electronic warfare), communication networks, offshore/DSO platform. The webinar is targeted upon the needs of systems engineers, system integrators, communication engineers, information system security engineers, validation engineers, test engineers, defense engineers, contractors and consultants, application engineers, systems and requirements analysts and system administrators who wish to firm up their understanding of resilient PNT and expand upon the alternatives available to them. Speakers on the webinar will cover the topic from a range of perspectives. Mike Jones has worked on a variety of UK and US military airborne platforms around the world. He specializes in the simulation, modeling and hardware implementation of advanced signal processing algorithms, and has led a number of FPGA and ASIC designs for radar, GPS and communications systems. Mikel Miller began his career as a satellite systems engineer with the U.S. Air Force, holding numerous test, research and development, and program management positions. He retired with a Ph.D. and rank of lieutenant colonel. He worked until recently as chief scientist for PNT Technologies for the Air Force Research Lab Sensors Directorate, and is now a vice president at Integrated Solutions for Systems (IS4S). Miller will broaden the discussion to encompass all three technologies that evolved military applications and platforms now require for synchronized, precision operations: resilient PNT, resilient communications, and resilient cyber. A system-of-systems architecture that integrates and optimizes these three technologies is required to provide trusted and resilient PNT information in GNSS denied/degraded environments. Lisa Perdue, an expert in testing critical GPS and GNSS systems, has trained hundreds of engineers and technicians who are responsible for high-reliability positioning, navigation and timing (PNT) applications. Perdue is Spectracom product manager at Orolia, where she directs the organization’s GNSS simulation activities and contributes to its entire portfolio of resilient PNT solutions. She has more than 15 years of navigation and RF systems experience, including 10 years of service with the U.S. Navy, where she was a certified master training specialist. Spectracom’s perspective on secure military systems is concisely set out in a whitepaper, “Making Military PNT Systems Resilient Against Threats: Recent Advances.” After an overview of the field in which many terms and concepts are carefully and helpfully defined, the whitepaper explains the advantages of the new Satellite Time and Location (STL) service. 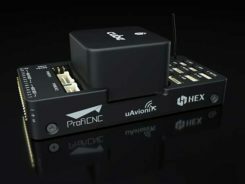 This is a paid option available on the company’s VersaPNT hardware unit, combining a GNSS receiver, inertial measurement technology and high-performance timing oscillators to provide assured PNT in GNSS-degraded and denied environments. STL is a new technology available today to harden GNSS-based timing and frequency systems, and in some cases even to replace the GNSS reference; the adaptation of this technology to positioning and navigation applications on slow-moving mobile platforms is currently under development. The STL signal is broadcast by the Iridium constellation of satellites in low-Earth orbit. VersaPNT reduces size, weight and power (SWaP) by combining the the PNT functions of multiple independent subsystems in one portable unit with a modular architecture. For improved resiliency, optional interference detection and mitigation (IDM) software can be added, as well as other services such as STL and BroadShield.